We want the referral process to be as easy as possible for you! No need to fill out a long form, just shoot us an email (insert Button/Link) or give us a call! We do ask that you have the client call us directly so that we may go over details of the appointment with them. We like your clients to know that we will take care of requesting records for them and we will give them a rundown of what to expect the day of their pet’s appointment. We would like to serve as an extension of your daily practice by offering general and advanced dental and oral surgical services in a professional manner that is convenient for your clients. It is standard that our discharge letter is sent to you immediately following the procedure. In fact, you often have it in your inbox prior the patient even leaving our facility! Either Dr. Gingerich or Dr. Altman will contact you regarding the patient. You may access the pictures and radiographs taken during the procedure by following the instructions in the discharge letter. Please call us if you have any questions or trouble accessing! Obtain preoperative bloodwork (CBC/Chem within 60 days for healthy patients, more recent and involved diagnostics may be required for those having systemic diseases). Consider more involved preoperative diagnostics (urinalysis, thoracic and/or abdominal radiographs, ultrasound, echocardiogram, etc…) for geriatric patients or those with systemic disease. Dental cleanings should be recommended based on each individual pet’s level of plaque and calculus build up and gingivitis. For some pets, cleanings may be necessary every 6 months, for others it could be every couple of years. More importantly, pets need to have routine oral evaluations with dental probing and full mouth dental radiographs no less than every 2 years and in some pets every 6 months.  This includes pets who may have minimal plaque, calculus or gingivitis. It must be understood that clean teeth are not always healthy and therefore could be causing you pet pain or discomfort. My Dog Has Bad Breath. Bad breath is the number one symptom of advanced dental disease in pets. In most cases, bad breath in pets originates from disease causing bacteria. When pathogenic bacteria begin to flourish in the mouth, bad breath develops. It is important to have your pet’s oral health fully assessed with thorough oral examination and dental radiographs as soon as bad breath is noticed to prevent severe infections and tooth loss. These bacteria can also negatively affect other parts of the body and contribute to cardiac or renal disease. My Pet Has Increased Risks For Anesthesia, How Can They Get The Dental Care They Need? It is not fair to make a pet live with chronic dental pain and infection because they are considered an increased risk for anesthesia. At Pet Dental Center, we specialize in providing high level anesthesia care for geriatric pets and those with increased risks such as heart, kidney, liver, neurologic, diabetes and Cushing’s diseases. Because of our reputation for providing the highest level of anesthesia care possible, we average treating one high risk patient each day. Trust your pet with the ones who perform the most anesthesia procedures in high risk patients, Pet Dental Center. Is It Normal For My Pet’s Teeth To Fall Out? Baby or deciduous teeth are supposed to fall out when dogs and cats are teething, between 3 and 7 months of age. Adult or permanent teeth are present for the life of a dog and cat as long as they are healthy. If your pet is losing adult teeth there is severe dental disease. Advanced periodontal disease is the most likely cause for a pet losing teeth although dental fractures and tooth resorption are other likely causes. What Kind Of Chews Are Good For My Pet’s Teeth? Brushing your pet’s teeth is the best way to prevent dental disease at home and should be performed daily. When your pet does not accept brushing or for supplemental dental care in those pets who are getting their teeth brushed, dental chews can be a good choice. We recommend using dental chews that have the Veterinary Oral Health Council (VOHC) seal of approval. This verifies that the product has been tested in clinical trials and was shown to significantly reduce plaque or calculus. We also recommend slowly introducing dental chews by offering a reduced amount of the chew and observing your pet while chewing. This is to make sure he or she does not swallow a large portion of the chew that could lead to choking or digestive complications. Hard chew objects such as bones, hooves, antlers, thick rawhide products and plastic toys often lead to dental fractures and should always be avoided.